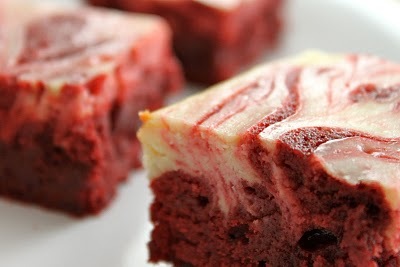 Red Velvet Brownies – YES PLEASE! It was super easy to do and I definitely mis-read the portion about adding the wet ingredients in the special order but it turned out fine. I had to pry the cap off my red food coloring, which stained my fingers for a bit. But they got rave reviews and I left them with my brother cause otherwise I would have plowed through the entire pan when I got home! You had me a “super easy”!